I spend the night between Friday and Saturday at Møns Klint, doing a lot of night photography with my good friend Tobias Bagge. It’s been a long time since I have used a whole night on photography, but man it was missed and awesome to do. 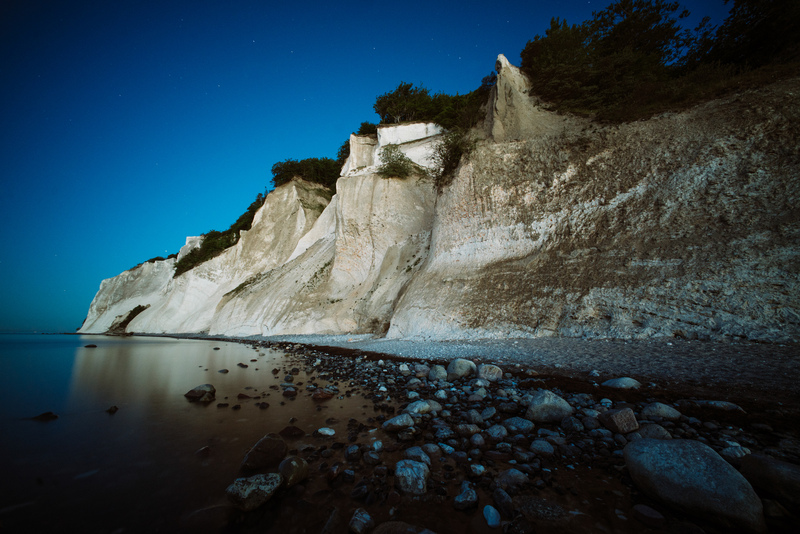 Our intention with the night was to catch the stars and the cliff, since Møns Klint is now official a dark sky spot, but apparently we are already to far into the light days, for the sky to get totally dark during the night, and really get the stars “out” on the sky. We still got some nice photos out of it, and are planing on going back there, late autumn when the nights a darker again. Møns Klint at night by Bo47 is licensed under a Creative Commons Attribution-NonCommercial-NoDerivatives 4.0 International License.